Used for the purpose of detecting biological, chemical or physical events of samples in microtiter plates, the range of Elisa Plate Reader is known to be one of the finest that is available. The range of readers is made available in several specifications and provides highly commendable functionality. Our company holds expertise in offering excellent quality Elisa Plate Reader to our prestigious customers. 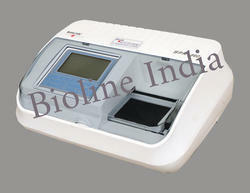 These readers are precisely designed for Elisa analysis of different samples in micro-fiter plates. The offered readers are equipped with ultra-modern optical systems that ensure highly accurate results even after repeated usage. Looking for Elisa Plate Reader ?